(CN) – Two wolf advocacy groups lack standing to challenge a federal policy barring prosecution of people who kill endangered animals but are unaware the animal was endangered, the Ninth Circuit ruled Tuesday. The U.S. Department of Justice has a policy referred to as the “McKittrick policy,” named after a Montana man convicted and sentenced for killing a gray wolf. At his 1995 trial, Chad McKittrick testified he thought he was shooting a rabid dog and not a gray wolf. The Justice Department adopted his namesake rule after the Ninth Circuit upheld his conviction. 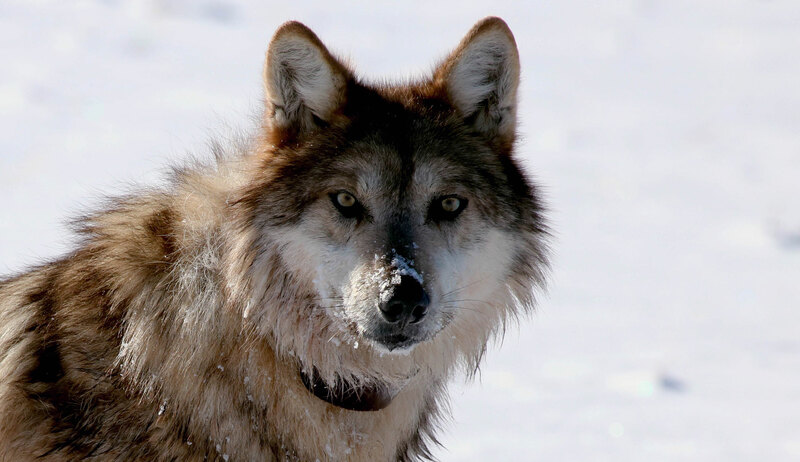 The wolf McKittrick shot was one of 14 brought to Yellowstone National Park in the mid-1990s, in an effort to reintroduce the species to the region. WildEarth Guardians and New Mexico Wilderness Alliance sued the agency in 2013, claiming the McKittrick policy protects people who want to kill Mexican gray wolves in the southwest. “Since the Mexican gray wolf reintroduction program began in 1998, [Fish and Wildlife] has catalogued 48 wolves that have been the victims of illegal killings,” the groups said in their federal lawsuit. Of those 48 shootings, only two were prosecuted under the Endangered Species Act (ESA). U.S. District Judge David Bury found for the groups last year, and ruled the government does not have to prove a defendant who kills an endangered animal also knows the animal is endangered. The policy “eviscerates the deterrent effect of the ESA criminal enforcement statutes,” Bury wrote. After the government appealed, both sides debated the issues before a Ninth Circuit panel this month. Justice Department attorney Kevin McArdle defended the policy, arguing the government still managed to successfully prosecute people under the Endangered Species Act. “There has never been a case in the Ninth Circuit that we’ve declined to prosecuted (due to McKittrick),” McArdle told the panel. Matthew Bishop, attorney for the groups, said the action challenged the adoption of the policy, not an individual action. In a 6-page unpublished memorandum opinion, the panel found the groups lack standing to bring the action. While the Justice Department agreed that the increased number of Mexican wolf killings constituted an “injury” under the law, the panel concluded the injury can’t be linked to the McKittrick policy and getting rid of the policy wouldn’t necessarily decrease the number of wolves killed. The groups’ arguments were based on “several layers of speculation,” the panel found. It would require “speculation about how a series of independent entities would respond to the change,” the judges wrote. The panel vacated Bury’s judgment for the groups. While the reintroduction of gray wolves in the West is generally seen as a conservation success story, the Mexican subspecies remains the most endangered of all wolves. After being completely wiped out by the 1970s, the government reintroduced 11 Mexican wolves into Arizona in 1998. There are currently fewer than 150 wolves in the wild.